Our deepest sympathy to the dear family and children of Officer Bradway. God Bless him for his bravery that cost him his life. Rest in Peace sir, hero's are never ever forgotten. We pray for your family. 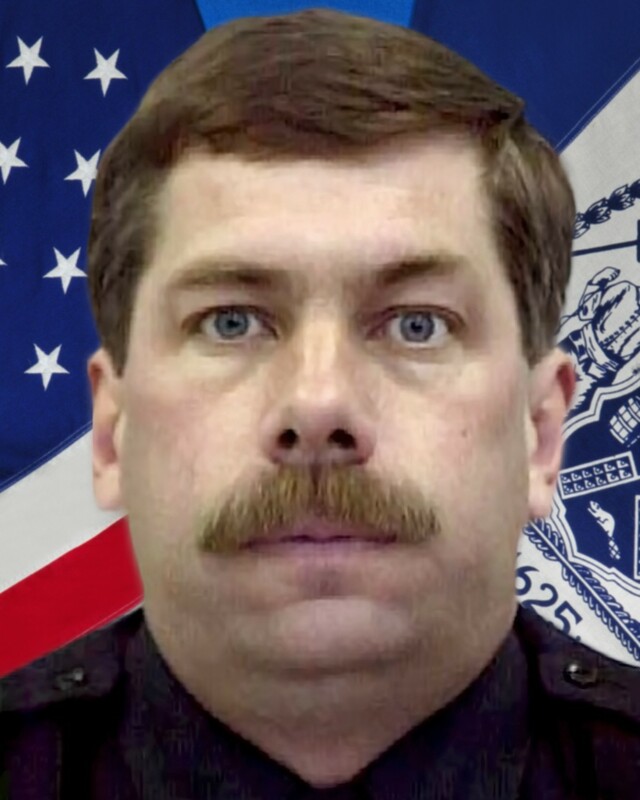 RIP AND THANK YOU FOR YOUR SERVICE AND THE ULTIMATE SACRIFICE YOU MADE TO SAVE A LIFE. MAY GOD COMFORT YOUR FAMILY, FRIENDS, AND IMPD FAMILY. THANK YOU OFFICER BRADWAY. Officer Rod Bradway our brother. My heart is broken for the loss of another hero and for the pain your family now is having to deal with. I pray our Heavenly Father bless your family, peers and bring peace to all who serve. Rest in peace sir. Your work is complete. Great men such as Officer Broadway are called by our Lord and Savior daily. May the family take comfort in knowing that Rod is with the loved ones he has loved who have also been called to heaven. Where do we find men of the caliber of Officer Bradway? They are priceless. May his wife be comforted, and his children, when they grow to adults, remember him with pride and say "This was my gallant and brave father". Our thoughts and prayers are with him, his family, friends, and colleagues. Rest in paradise, officer-you are the true definition of a hero. Rest in peace , Brother Bradway, thank you for your years of service. May God comfort your family and friends. As soon as I saw Officer Bradway's photo I was flooded with memories. We attended Indiana State University at the same time many moons ago and spent many hours "hanging out". Even then he was determined to serve others and loved being a firefighter. I lost contact with him as college friends often do, but I am so incredibly proud of him and am blessed to have known him and to have been given a short time with him. I admired him then, and continue to admire the wonderful hero he became. Sending my condolences to his wife and his children. Asking God to send extra angels to be with Rod's family and friends so they may find comfort and support. Sleep well brother, we got it from here. Rest in peace Officer Bradway! Gods Speed Brother, My families prayers are with you and your family and friends. Our thoughts and prayers are with you, your family, and your fellow officers! R.I.P Brother Bradway. Thoughts and Prayers out to the Family, Friends and Colleagues. Rest in peace Officer Bradway. You gave the ultimate sacrifice and saved another. May God take special care of your family since you are no longer able to. Prayers for your eternal patrol beet in Heaven and for your family to remember the good times. I am certain that you were one of the officers that would quickly respond in the middle of the night when there was a disturbance at the truck stop I managed. Bless you for the year I worked there in keeping my staff and I safe. Bless you for being the true HERO that we always knew you were! Go rest high on that mountain brother. "There is nothing greater than someone who would lay down their life for another." RIP Brother. I'm so sorry to this officers family and friends! May God give you the strength to be able to get through this great loss.